One good invention and you cash in. The mother of ex-Monkee Michael Nesmith can confirm: she was the inventor of a product that Americans describe as liquid paper, and that is called Tipp-Ex (or was, does it still exist?). 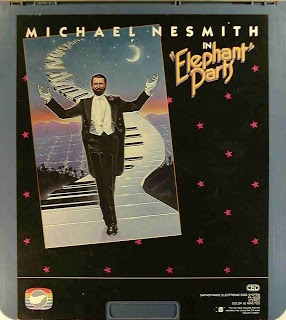 With money from his mother Nesmith made Elephant Parts, a video production completed in 1981. The one-hour show included not only five popular songs of the ex-Monkee (including Rio and Cruisin'), but also a number of sketches. In one of those sketches poor people who want to be 'hip' at all costs are ridiculed; among others money is raised for these poor creatures to help them get their coveted golden toothpicks. The title of the sketch was - you guessed it - The Tragically Hip. A great name for a band, some Canadians from Kingston, Ontario thought. Their group, performing straight, alternative and blues-like rock, has been using it uncomplainingly for about 30 years already.